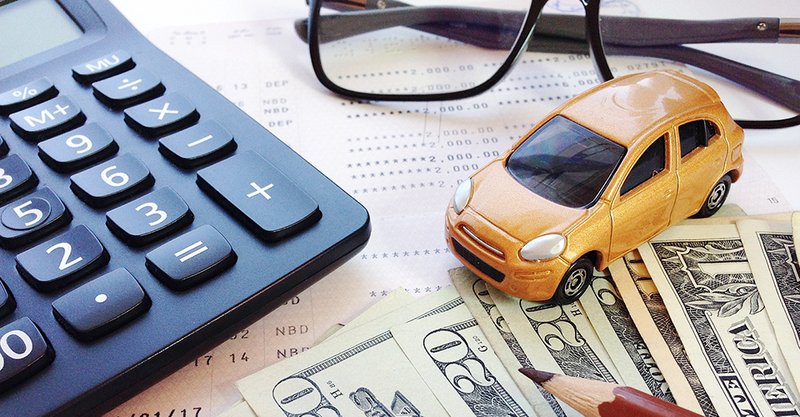 Have you encountered a problem with financing your business, household or daily activities? Have you tried borrowing money but was unsuccessful? Borrowing and lending money have been made easier by the peer-to-peer (P2P) lending platforms. This emerging method allows more significant connection between borrowers and investors. Today, everyone deserves hassle-free transactions and more opportunities to try. A licensed money lender is made available to help people solve their financial problems more efficiently. It could help them achieve their dreams without overthinking about the finances they would need to start. What is New About P2P Lending Platforms? With P2P lending platforms, people are now allowed to borrow and lend money without the need of financial institution. The investments in P2P are less volatile and have been able to provide higher returns than the existing sources familiar to people. P2P lending platforms have not only helped clients who are in need, but this has also served as a source of income for inventors. Some countries have tried to engage in P2P lending platforms. One of the countries that have been interested in applying this to their daily activities is Singapore. Singapore has been very eager in increasing its activity regarding P2P lending platforms to provide better services and aid people with their day-to-day operations. There have emerged some lending platforms that offer attractive returns for investors. There exist payouts if managed well that are made on a monthly basis that would benefit those who have invested. Lending platforms in Singapore have been trusted by many investors and other citizens who needed financial aids to improve not only their business but for their dreams. Singapore, like countries in US and Europe, is one of those countries engaging in P2P lending platforms. What are The Top 3 P2P Lending Platforms in Singapore? Funding Societies is a moneylender that is licensed by Monetary Authority of Singapore (MAS). This moneylender operates not only in Singapore but even in Malaysia and Indonesia. It is the first peer-to-peer lending platform that used government-registered escrow. As of 2018, it already has a total of 2,642 approved loans and with about 126.58 million SGD amount disbursed. In 2017, Funding Societies has been included in the Fintech 250 list that is a group of emerging private companies working on the groundbreaking financial technology. It has been the only Southeast Asia P2P lending company that has been included in the list. In the same year, Funding Societies has won the Best Customer Experience- Financial Service Providers at the 3rd annual Financial Services Summit and Awards 2017 held in Singapore. Funding Societies has been one of the most respected and recognized money lenders in Singapore. MoolahSense holds a Capital Services License regulated by MAS. In 2018, they have a total of 13,000 plus registered investors, 400 plus completed campaigns and about 50 million SGD total funding. 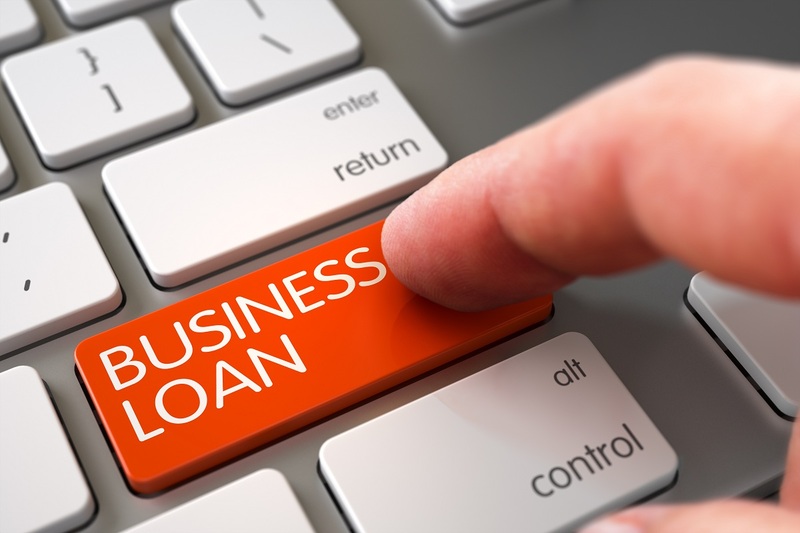 MoolahSense has been known to offer business loans ranging from 50,000 SGD to more than 5 million SGD in size. They can provide this loans quickly up to within three business days. It offers different interest rate types such as equal installments, interest only, etc. that allows greater flexibility to small and medium-sized enterprises. MoolahSense aims to help people grow wealth by financing business across industries and at the same time earn adjusted returns. Application with MoolahSense is fast and can be accomplished online for only around 5 minutes. All an investor has to do is to register, start investing and monitor investments. For borrowers, they have to record, continue with the application process in coordination with the assigned team and then track the funding. 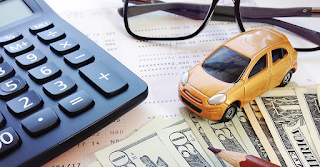 Capital Match is a licensed money lender that makes short-term business financing simpler. Capital Match provides business and SME loans and invoice financing facilities of 50,000-20,000 SGD, in a term of 3-12 months. Approval of loans offered by this moneylender is only within days. This moneylender has been established in 2014 and has already provided 62 million SGD loans as of December 2017. How to Choose the Best P2P Lending Platform? Consider the minimum loan amount to invest in starting. Minimum loan for Funding Societies is $100, $ 500 for MoolahSense while $1,000 for Capital Match per facility. Consider also the service fee involved. Funding Societies charge 15% of the interest earned; Capital Match costs 20% of the benefit received that will be charged after the repayment is paid. On the other hand, MoolahSense has no service fee. There are two types of loans available, Business Term Loans and Invoice Financing. The former spans across a year or two and this is what loans businesses get to expand. It is most commonly requested by Singapore SMEs. On the other hand, the latter allows companies to finance slow-paying accounts receivable in two ways. First is through sales wherein invoices can be sold to companies in exchange for immediate payments while the second one is through receivables that are used to ensure a line of credit through asset-based plans. Funding Societies and MoolahSense have both types of loans while Capital Match offers only Invoice Financing. As compared to many traditional investment products, peer-to-peer lending platforms can provide higher returns. Returns among these platforms in Singapore can provide up to 14% yearly returns. The tenure of the loans in these lending platforms range only to less than one year while other insurances take longer. Moreover, the interest and the principal amount can be returned monthly which provides investors more options such as reinvesting or other transactions that are more beneficial. One does not need plenty of money to be able to start investing. As described earlier, minimum loans range only from 100-1,000 SGD. With these minimum loans, it provides opportunities for literally anyone to spend. Top P2P lending platforms in Singapore have been proven and trusted by many investors. They have been licensed and regulated by MAS. Funding Societies has already expanded, reaching Malaysia and Indonesia. It has even been recognized as one of the Top 250 Fintech Companies. Other money lenders have also continued to develop and grow. Peer-to-peer lending platforms in Singapore have continued to grow and help companies and individuals regarding finances. Money lenders serve as an aid that benefit not only the borrowers but even the investors. In Singapore, top licensed money lenders have continued to operate and succeed to be recognized not only in Southeast Asia but also in the world. Indeed, a moneylender serves as a partner towards success. There is not a precise way to define a luxury property; they encompass a wide range of style, setting, size and design. From an indulging tropical home in front of the sea to alavish condominium in the center city, luxury real estate has been hitting records across the United States in the past few decades. Now, the process of buying a luxury home may not be that idyllic as the home itself if the buyer rushes through a purchase not having full knowledge of everything involved. There are many details totake into account as it represents a BIG long-term investment that one should undertake with full knowledge of everything involved. This goes simple to the fact of supply and demand drive prices. If your goal is to go high-end without going bankrupt, look to the off-season—which, in most places, is winter. Why is this? When there's less demand, you usually stand to get a reasonable good price. Try not to bite off more mortgage than you can safely chew. Do your due diligence. With mortgage interest rates as low as they are, borrowing money to purchase your luxury home while at the same time using your cash in different higher rate of return investment may make sense for you. Choosing the right location is essential regarding impacting taxes, schools, drive time and more it is best to take time to research the different communities that have luxury homes available and to be sure to explore those neighborhoods both online and offline by walking/driving the neighborhoods. One of the ways to buy a luxury home for as much as even 15% below its actual valueis hunting for foreclosed properties. While there's a myth that foreclosed homes can be purchased only with cash, roughly 60% of foreclosed homes purchased are actually financed. 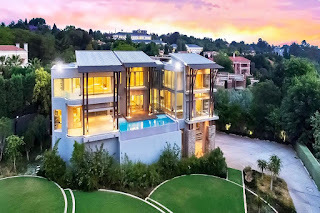 When you buy a luxury home you have to bear in mind that not all properties go listed, this in order to protect the seller’s privacy and property. That’s why you should hire an expert. Luxury real estate agents and brokers know the luxury market and have connections. They know how to find the right homes, what prices are fair, and how to smoothly handle a luxury real estate transaction. With 40-stories high, BristollBrickell delivers the most breathtaking views of Biscayne Bay. The building has just 147 residences so you know you’ll enjoy some of the largest floor plans around, along with expansive city and bay views.You can find units at the low $445,000. This spectacular residential masterpiece has redefined luxury living in the vibrant South of Fifth district of Miami Beach with its gigantic condo units, upgraded residential features and spacious balconies that overlook the Atlantic and Biscayne Bay. Units star at $1 M.
One of the first luxury condominiums to be built on South Beach, South Pointe is set just a few steps from the Atlantic Ocean in the South of Fifth (SoFi) Street district of Miami Beach. This imposing tower delights with its stunning units and penthouses facing the water. Units range from $849,000 to $2.6 M.
This high-end boutique building will be located in the heart of sought-after Sunny Isles lying on the most striking beachfront line, between the coastal waterways and the Atlantic Ocean, so expect the most awe-inspiring vistas. Find units from $4.7 M.
Amazing views, stunning marble finishes handpicked by architect Carlos Ott and high-end appliances, just a couple of the details that the penthouses in the Echo Brickell building will offer. Also, a full floor infinity-edge pool with panoramic views of Biscayne Bay and Downtown Miami will amaze you. These units start at $ 4, 8 M.